I first met Robert at the Worlds in 2004, and have enjoyed watching his career ever since - switching through a few different teams, and getting progressively faster over the last decade. Though no driver from Spain had ever won a World Championship before Batlle battled his way to the top of the podium in Argentina two years ago, he's following in some pretty high-profile footsteps - including former European Champions Daniel Vega (1999) and current Ferrari Formula 1 test driver Pedra de la Rosa, who was the first to win multiple EFRA titles with back-to-back championships in 1983 and 1984. Just a few days before the start of his title defense, Robert responded to my Facebook message for this fantastic interview. 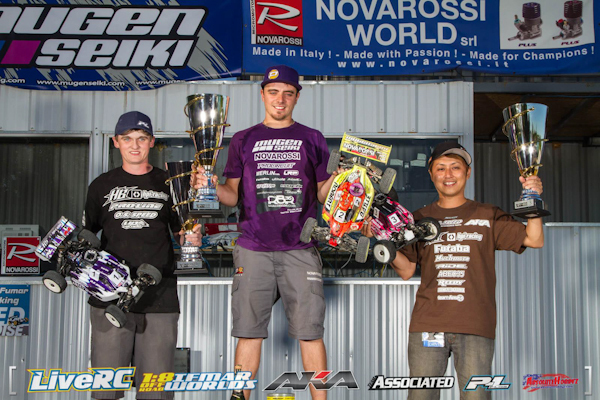 Aaron Waldron: How did you get into racing? 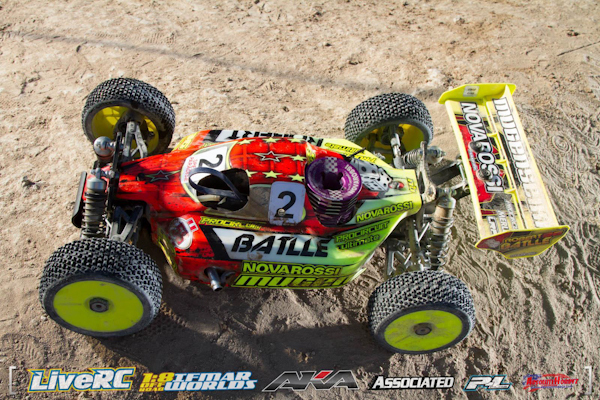 Robert Batlle: It was my uncle and dad who drove rc cars some years before I started, my uncle even had a hobby shop in Barcelona during the 90s. AW: How long did it take before you started entering larger events and attracting sponsors? RB: In my first year we went to Nationals, but we had to wait until my second year to start racing in the Euros. Back then there weren't a lot of international races like now, and there was not as much information about them because the Internet was not a way of life like it is now. We were lucky because in just my second race, Marc Ibars from Modelix came and started to sponsor me so we become sponsored really soon. AW: When did you decide you wanted to become a professional racer? RB: Ever since I started I always thought about it, but since 2005 or 2006 when I was starting to have enough speed to win a Euros we started to work hard to become a professional racer. AW: You started racing at a young age, but progressed quickly. Were you surprised to win your first European Championship after racing for just eight years? RB: I was young at the time, but now kids start super young! 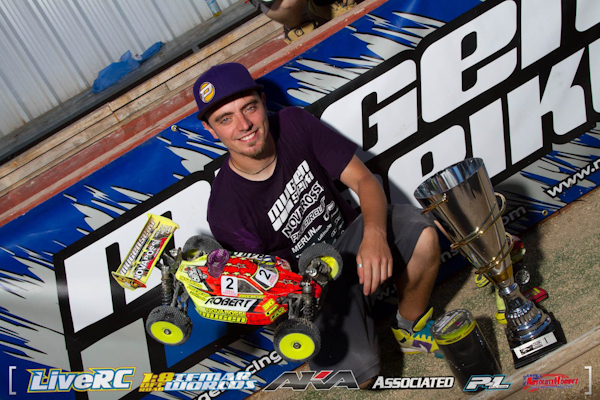 I was 12 when I started racing RC cars but now we have great drivers with just 12 years old like Davide Ongaro! They keep starting earlier and earlier - maybe soon we will see some 8-year-old kid in a Euros 1/8 main! In 2006 we were also quite close to winning the Euros, and at least I would have finished 2nd, but I flamed out on the last lap and it caused me to finish 6th. We were surprised about our speed there, being with Yannick the only ones who people saw us like winners, but he did not finish the semi so we couldn’t battle in the main. It was a big moment of my life, a really great feeling. AW: When you won the Euros again in 2011, you joined very elite company - only eight drivers have won more than one European Championship. Was the second one as special as the first? RB: It felt the same. Every time you win a Euros, or any important race, it’s special for sure. 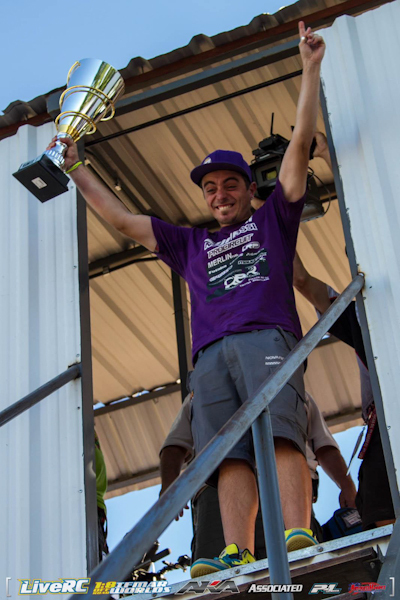 But that Euros was my first year with Mugen and also my first year with Procircuit, and and to be crowned euro Champion in our first year was super amazing! 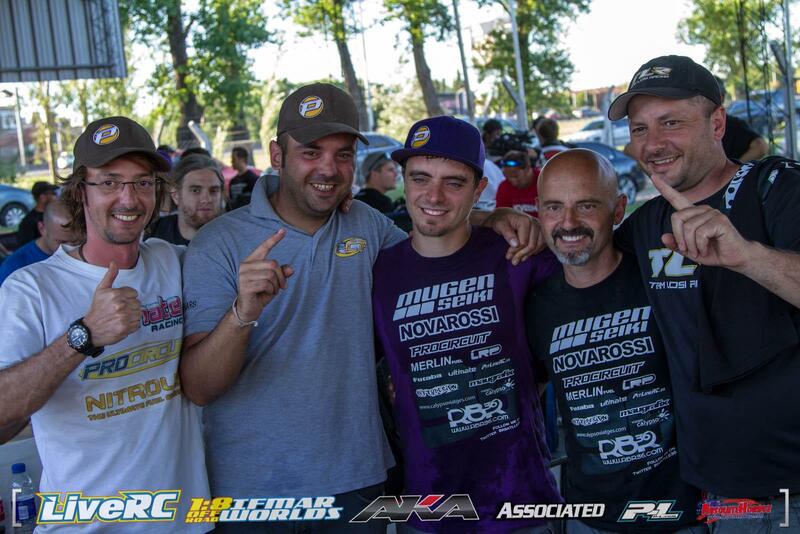 It also was my first title with Novarossi and we all enjoyed it a lot! 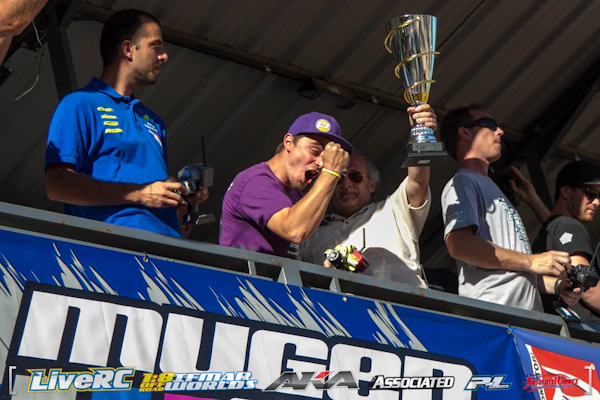 AW: Did you know that your Worlds win in 2012 was the first time a Spanish driver ever won a World Championship in any class? Does that make your world title even more special? RB: Yes, I knew. Pedro Martinez de le Rosa (now a F1 driver), had the best result finishing second at the first Worlds in 1986, so for sure all my team are really proud of it. 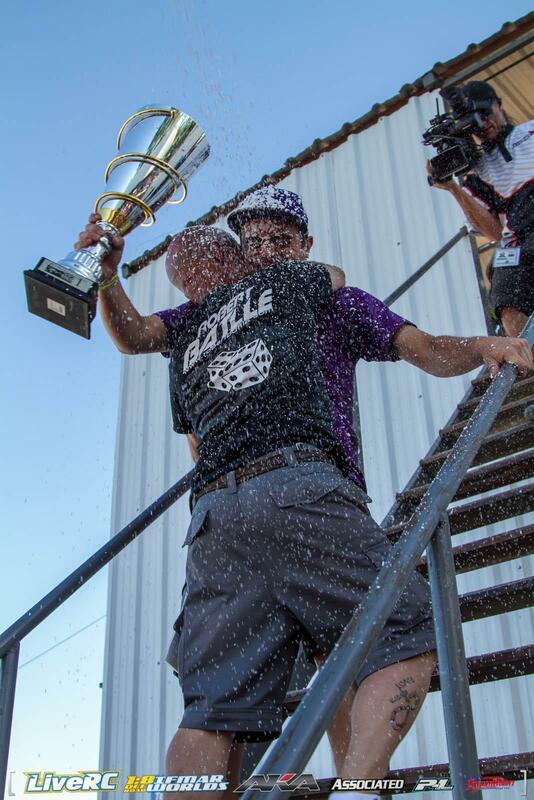 But honestly, when you win a World Championship it’s always special, so anything can make it even moreso. It was a dream came true! 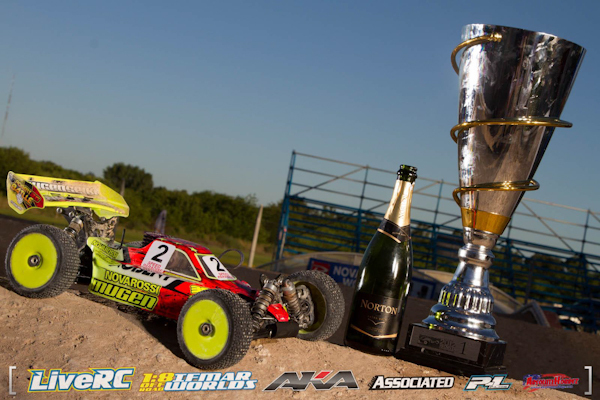 AW: Was winning a world championship your goal for your RC career? What is your goal now? RB: For sure it was since I was young. It will always be my goal so we will try to win it again this year, and we will try it again and again in any class we participate. 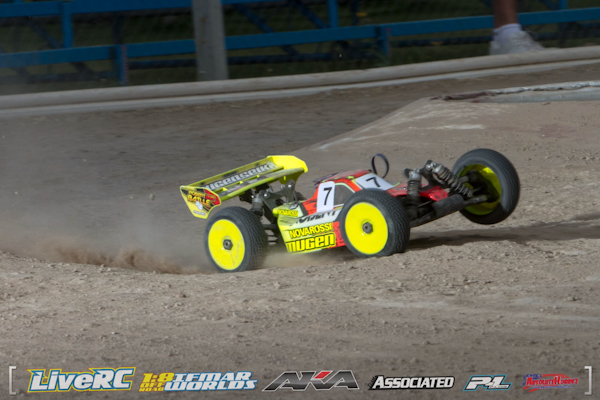 AW: You race 1/10-scale off-road as well, but you’re among the drivers who is best known for being an 1/8-scale specialist. Do you think that is an advantage over racers who compete in other disciplines? RB: Racing 1/10-scale is so different from 1/8-scale so I don't think is an advantage. Right now we are finishing our RBR36 Arena with two 1/10 tracks so for sure I will be able to practice more everyday! 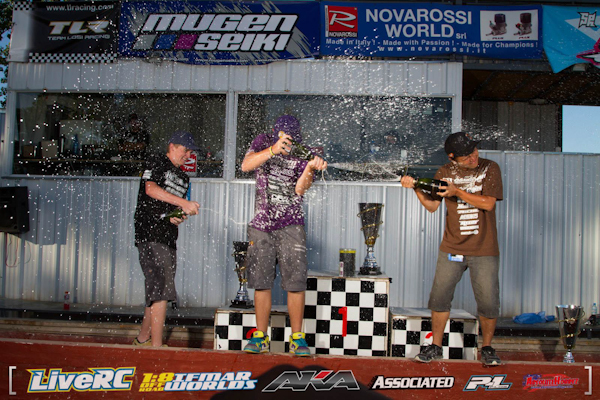 AW: How have you enjoyed racing for Mugen Seiki? Have you had much practice time with the MBX7R? RB: I'm really happy to be part of our Mugen family, I enjoy racing with all of them a lot, and I think is one of the best teams right now. We’ve had enough practice time with our new car, and we are ready for the Worlds! AW: How do you feel about the fact no one has run on the new configuration of the Naxos Worlds Track? Do you think that the extended practice this week is a good idea? RB: I like the idea to start the Worlds with everyone on the same page, but I don’t like the extended practice days so much. The old format I think was enough, and easier for drivers who come to the Worlds for fun and cannot take a lot of vacation from their job. AW: The Naxos World Track looks wild - it’s really big, with different surfaces, and several tricky sections of the layout. Do you like tracks of this style? RB: I like almost all tracks and layouts, but the track looks dialed and I hope I will enjoy a lot racing there! For sure I will have to enjoy racing to be competitive enough to win the Worlds. AW: What do you think is the biggest reason we’ve only had one repeat winner at this event? RB: I think off-road is so difficult because it’s hard on equipment, and also setup is not super important like in on-road, so you just need to have an awesome week. You don't need a great setup to win the Worlds, you just need to have the speed and be lucky! AW: You got into RC racing with your father. Is he still your mechanic? How important is he to your success? RB: Yes, he is the reason why I'm a professional racer so for sure he will be my mechanic forever if he wants of course. Right now he just comes with me to the Euros, Worlds, and any race he wants, but even being at home he always calls me to find out what’s going on. In Italy he will arrive on tuesday due to work he had to do at home, but it will be enough to help me as he only knows. He is super important to me so he will continue with me and my mechanic Sergio for a long time!